This is the Spirit Bear known as "Warrior". We found her in Gitga’at Territory while visiting the Great Bear Rainforest. 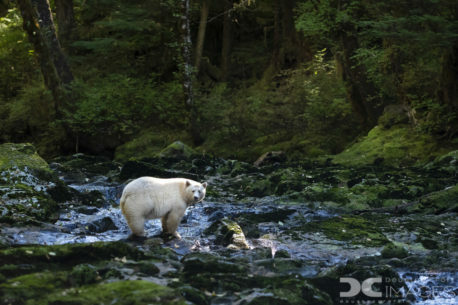 This area in British Columbia is the only place in the world to find these strikingly beautiful bears. They are considered sacred to the First Nations people and it is easy to see why, they are stunning. Especially so against the backdrop of the rainforest.